In an effort to provide more value to customers, Autodesk offers the Product Design and Manufacturing Collection. This collection features a low cost of ownership, and allows you to get the tools you need now and in the future, as the collection and your business evolves. 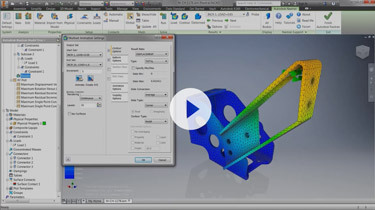 See how Nastran In-CAD compares to Simulation within Autodesk Inventor, and join us at our upcoming webinar to learn more.